There’s little agreement on the impact that share-based compensation has on a company’s financial performance. This is no surprise given the complexity of both accounting for share-based compensation as well as its disclosure on financial statements. Because share-based compensation is generally a noncash expense, many companies and financial analysts ignore this expense when restating earnings. To address these issues, we will demonstrate how the assertion that shareholders don’t bear the cost of option compensation is false. Using examples, we’ll provide an overview of the accounting and financial statement disclosure for share-based compensation as well as the permanent tax differences that often result from share-based compensation. Then we’ll suggest ways that financial analysts and company management can improve their interpretation of the effect that share-based compensation has on a company’s financial performance. We’ll conclude with a survey presenting the impact of share-based compensation on earnings and cash flow between companies with a recent IPO and more established ones. 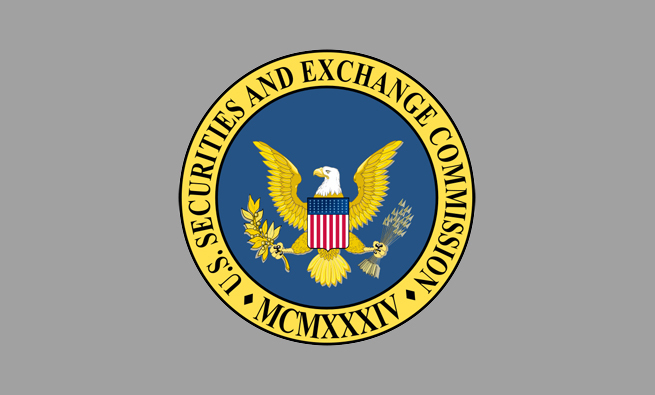 Accounting Standards Codification (ASC) Topic 718, Compensation—Stock Compensation, requires that companies report compensation expense for equity instruments over the instrument’s vesting period. A portion of the fair market value at the grant date is expensed each year over the vesting period. As the expense is incurred, a deferred tax asset for the expected tax benefit is also recorded. This noncash compensation expense, net of the increase in the deferred tax asset, increases operating cash flow relative to net income. 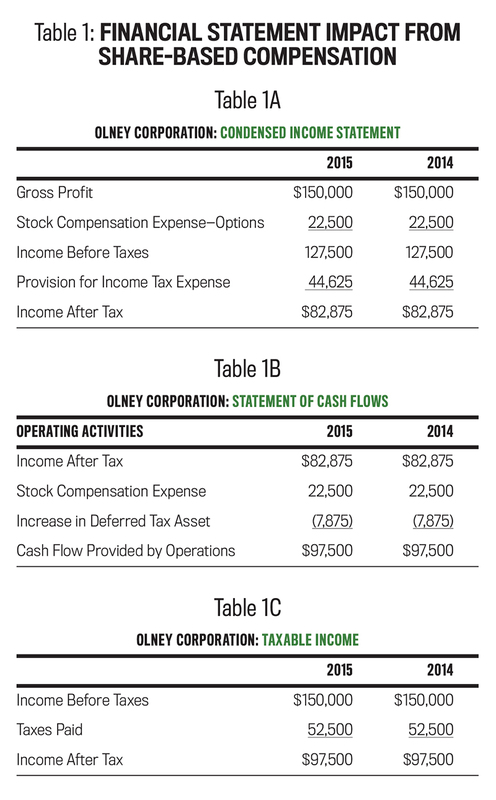 Table 1 presents an illustration of the financial statement disclosure and tax-based income for a grant of nonqualified stock options by Olney Corporation. Suppose Olney Corporation granted 15,000 nonqualified stock options to employees on January 1, 2014. The options have an exercise price equal to Olney’s current share price of $10, and they vest at the end of 2015. The fair value of the options, calculated using the Black-Scholes options pricing model, is $3. Olney will report a noncash compensation expense of $45,000 ($3 5 15,000) on both its income statement and statement of cash flows. This expense is allocated equally over the two-year service period until vesting takes place ($22,500 per year). In addition, Olney will record a deferred tax asset each year to recognize its expected lower future taxes. As shown in Table 1A, Olney’s book income before taxes in both 2014 and 2015 is $127,500 after deducting noncash compensation expense. The provision for income tax expense based on a tax rate of 35% is $44,625. As the IRS doesn’t recognize the noncash stock compensation, expense income before taxes for tax-based income is $150,000, as shown on Table 1C. Taxes paid in 2014 and 2015 are $52,500 ($150,000 5 35%). Because this exceeds the provision for income tax expense, it creates a deferred tax asset of $7,875 ($52,500 – $44,625) for 2014 and 2015. Cash flow provided by operations is greater than book income (see Table 1B), reflecting the noncash nature of the stock compensation. Table 2 illustrates the impact on Olney’s financial statements when the options were exercised. All 15,000 options were exercised in March 2016, when Olney’s share price was $18. Olney’s book income (see Table 2A) is unaffected by the option exercise since stock compensation expense is tied to employee services during the vesting period and not at the exercise of the stock options. The exercise of the options has a direct impact on Olney’s tax-based income and, by extension, its taxes paid. When the 15,000 options are exercised, deductible compensation expense is equal to $8 per option—the difference between the grant price ($10) and the exercise price ($18)—for a total of $120,000. As shown in Table 2B, this reduces Olney’s tax-based income in 2016, generating a difference of $42,000 between book tax expense ($52,500) and taxes paid ($10,500). This difference is the combination of the $15,750 of deferred taxes arising from the noncash compensation expense in earlier years and the $26,250 excess tax benefit resulting from the options’ intrinsic value of $8 being greater than the Black-Scholes grant date value of $3. Currently, these tax differences are reported on the statement of cash flows in the “Operating Activities” and “Financing Activities” sections, as shown in Table 2C. The decrease of the deferred tax asset resulting from the option exercise is shown as an operating activity within the statement of cash flows. The impact on Olney’s performance doesn’t stop here. At the exercise of the options, Olney must acquire the 15,000 shares to be issued to employees. 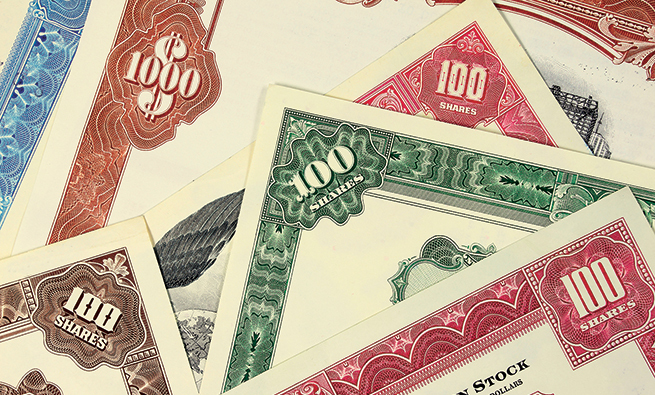 Previously acquired shares can be reissued or sold at the current share price. Therefore, the cost of providing shares to employees upon option exercise will be at the current share price. This is reported as a financing transaction (see Table 2C). The shares must be purchased at the market value per share on the date the options vest. At $18 per share, the resulting cost is $270,000, which is recorded as a purchase of Treasury Stock in the Financing Activities section of the statement. The cash inflow from the purchase of stock by the employees after exercising their options (15,000 5 $10 = $150,000) also is reported as a financing activity. The additional $78,000 [($270,000 – $150,000) 5 65%] expenditure net of tax savings represents a real reduction in operating cash flow. In summary, the reporting for stock-based compensation affects book income, taxes, and cash flow in different ways in different reporting periods. The vesting of stock-based compensation represents a noncash expense that reduces book income, which isn’t recognized by the IRS as a deductible expense. Since it’s a noncash expense, operating cash flow will be increased relative to income. When stock options are exercised, the cash expenditure to provide employees with stock is classified as a financing activity on the statement of cash flows. Book income is unaffected, and the reversal of the deferred tax is captured as an operating component within the statement of cash flows. Analysts who use operating cash flow or free cash flow to measure company performance will overstate performance since operating cash flow doesn’t capture the cash expenditure necessary to acquire shares for employees who received options as part of their compensation package. 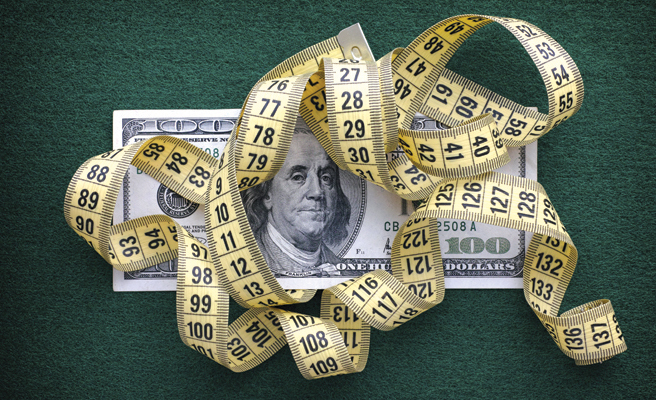 Cash flow from operations is a key element in assessing a company’s financial performance. Creditors need to understand the amount of available cash flow to service debt, and management and investors need to understand the amount of free cash flow available to grow and maintain operations. As the Olney example illustrates, the current accounting treatment of share-based compensation discloses the expenditure of equity compensation in both the operating and financing activities on the statement of cash flows. This reporting procedure makes it difficult to assess company performance over time and to compare performance between companies. “Cash Flow Provided by Operations” should capture the entirety of share-based compensation expenditures. We suggest that analysts reclassify net expenditures for stock-based compensation to the operating section of the statement of cash flows, as shown on Table 3. This provides a better portrayal of compensation expenditures and results in a more accurate assessment of financial performance. 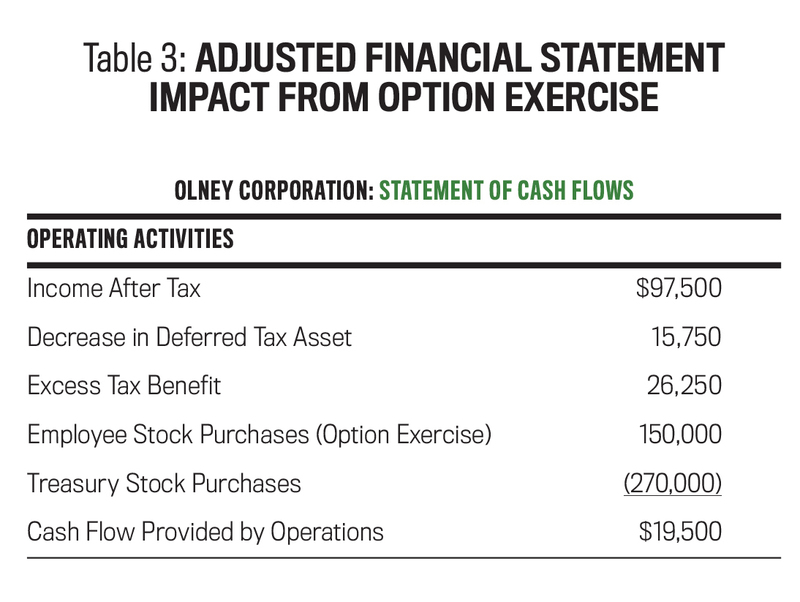 In the Olney example, the actual impact on cash flow when the options are exercised is a $19,500 increase in cash flow provided by operations, as shown in Table 3. Yet Table 2C, following the current procedure, reports an increase of $113,250. Providing stock to employees at less than the current market price as part of their compensation package represents an operating cash outflow. To highlight how the current reporting procedures can skew perception of financial performance, assume an extreme case. If a company were to pay all compensation in the form of employee stock options, it would report compensation expense on its income statement as the options vest. Upon exercise, the reduction in the deferred tax benefit would be the only impact on operating cash flow. “Net Cash Provided by Operating Activities” should reflect the full cost of compensating employees, regardless of the source of the funds. 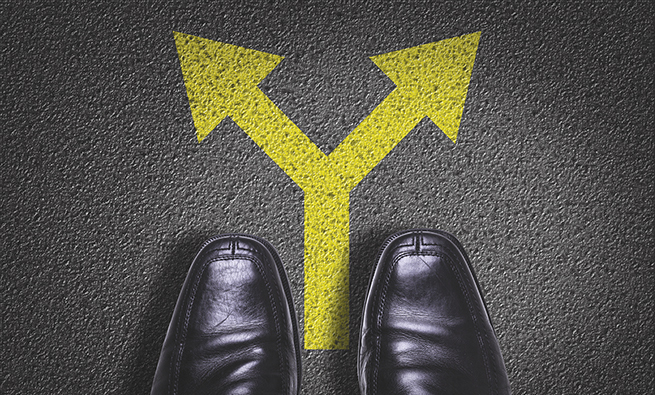 There’s no operational difference between issuing stock to pay a cash bonus to employees and issuing stock to employees when they exercise their employee stock options. Financial statements must capture the full impact of stock-based compensation as part of a company’s normal operations. This would allow all users of financial statements to assess the company’s financial performance more easily. THE CASE OF INTUIT, INC. This can be illustrated in another example. For the year ending July 31, 2013, Intuit reported net cash provided by operating activities of $1,366 million and a net income of $858 million. Part of the difference between Intuit’s net income and its operating cash flow results from noncash compensation expense of $195 million. At the same time, stock option exercises resulted in pre-tax expenditures of $166 million. In other words, Intuit purchased and sold shares to employees for $166 million more than the employees paid for these shares. In addition, 3.67 million restricted shares (RSUs), with a value of $224 million, were released to employees. Thus, on a pre-tax basis, in 2013, Intuit expended $390 million related to employee compensation. And since the IRS treats these expenditures as an operating expense, Intuit received a reduction in 2013 tax liability. Under current accounting procedures, the $390 million pre-tax expenditure for providing shares to employees is captured primarily within the financing activities of the statement of cash flows. Only the reversal of the deferred tax asset resulting from the option exercise and release of RSUs stays within the operating activities section. Treating the $390 million expenditure to employees, less the reduction in taxes not captured in operating activities (excess tax benefit), provides a clearer assessment of Intuit’s operating cash flow in 2013. Table 4 shows how the reported cash flow provided by operations of $1,366 million should be reduced by $321 million. By capturing funds spent compensating employees, Intuit’s operating cash flow is reduced by 23.5%. 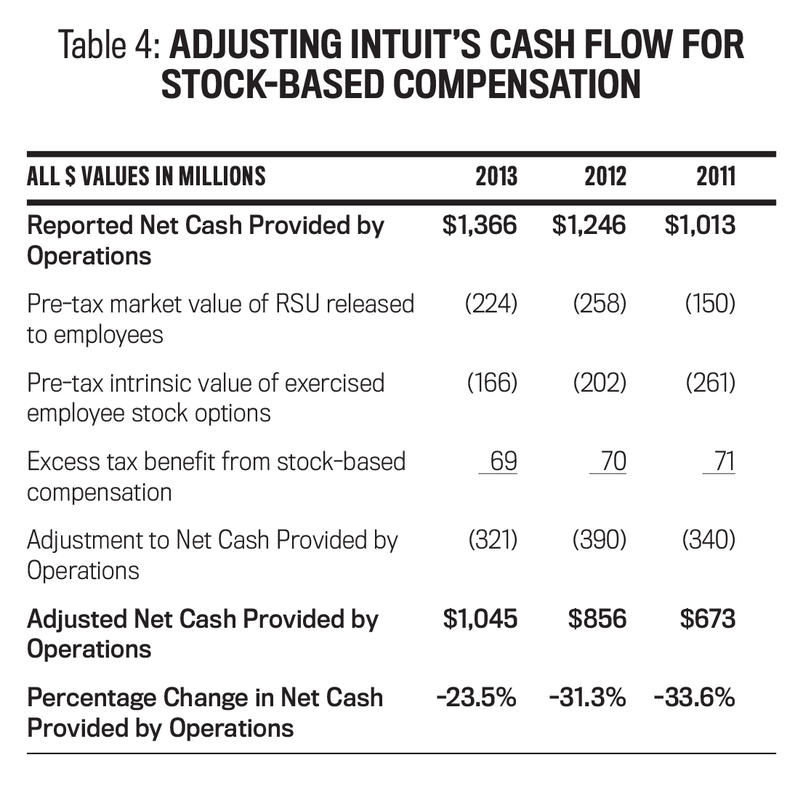 As shown in Table 4, Intuit has a similar percentage reduction in its operating cash flow in 2011 and 2012. If Intuit had issued stock to pay cash bonuses instead of compensating employees using restricted stock and stock options, the after-tax cost of the cash bonuses would have reduced cash provided by operations through the compensation expense for that period. The form that Intuit’s employee cash compensation takes shouldn’t affect the fact that the cash compensation represents a reduction in Intuit’s operating cash flow. To gain a broader understanding of the impact of stock compensation expenditures on operating cash flow, we reviewed the financial statements of NASDAQ 100 companies for the years 2010 through 2012. We also reviewed financial statements of companies that had IPOs in 2010 and 2011, drawn from the Compustat database. We analyzed their financial statements for two years subsequent to their IPO and followed the same process we used to analyze Intuit. The result of the analysis is shown in Table 5. For companies within the NASDAQ 100, the median percentage decrease in cash provided by operations was approximately 10%. A quarter of the companies had percentage changes that exceeded 20% in 2013, with 2011 and 2012 being slightly less. 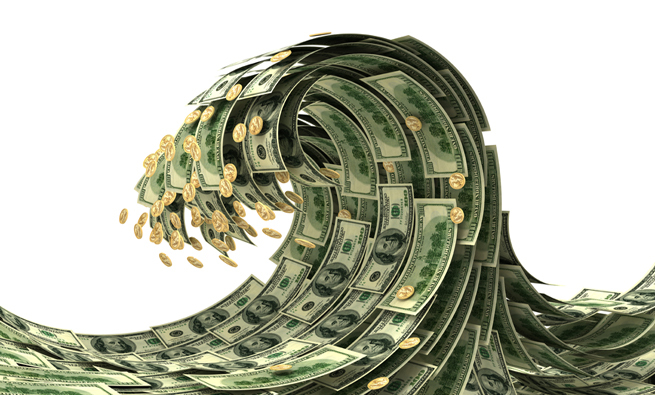 Given these material changes, analysts need to understand both the current and likely future impact that stock compensation expenditures have on operating cash flow. Our review of the financial statements of recent IPOs reveals that the median decrease in operating cash flow was similar to the more seasoned companies, yet the upper quartile companies had a greater decrease in operating cash flow than the NASDAQ 100 companies did. Reporting the cash impact of employees exercising their stock options in the financing activities section of the statement of cash flows rather than the operating activities section has led some to view the granting of stock options to employees as having zero cost to the company. For example, the Center of Tax Justice issued several articles stating, “In the case of stock options, there is a clear economic benefit to the employees, but a zero cost to the employer.” Yet the benefit employees receive when exercising their stock options is equal to the expense the company incurs. Employees pay taxes on this benefit, and the company’s taxable income is reduced by the same amount. The after-tax cash flow to the employee and the employer are no different than if cash bonuses were being paid. This would be more transparent if all expenditures related to stock compensation expense were classified as an operating activity. 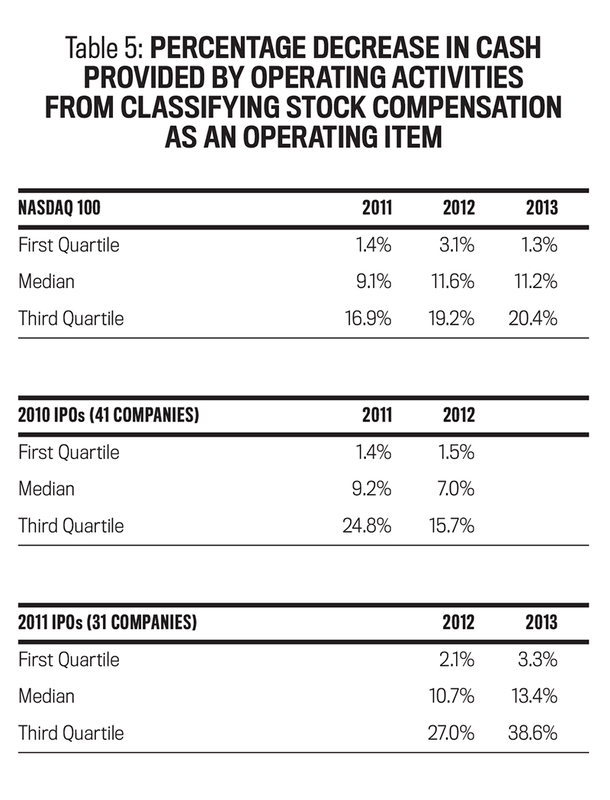 Stock-based compensation is utilized by the majority of public companies. Currently, the operating activities section of the statement of cash flows doesn’t fully capture the costs a company incurs when it provides employees with stock compensation. The expenditure for shares acquired to give to or sell to employees is currently disclosed as a financing activity. Analysts should reclassify these expenditures as operating activities in order to better understand the company’s ability to generate operating cash flow. Public policy should reflect that the company doesn’t enjoy any tax differential for an equal level of stock or cash compensation. Reclassifying this as an operating activity improves the ability to analyze a company’s operating cash flow over time, as well as to more accurately compare financial performance across companies. Our survey of company performance indicates that stock-based compensation has a material impact on a company’s financial performance—and that impact varies widely across companies, indicating the need for careful scrutiny by all stakeholders. Lester Barenbaum, Ph.D., is a professor of finance at La Salle University and a managing director at Financial Research Associates. He can be reached at (215) 951-1649 or barenbaum@lasalle.edu. Bonnie O’Rourke is a managing director at Financial Research Associates. She can be contacted at (484) 270-1240 or borourke@finresearch.com. Walter Schubert, Ph.D., is a professor of finance at La Salle University. You can reach him at (215) 951-1034 or schubert@lasalle.edu. There is also no operationnal difference with the company buying the 3$ equivalent stock option when the option is granted. So when the share option is granted we should decrease the operationnal cash flow by 3 x Nb Shares that we expect to vest. There is also no operationnal difference to the company buying its treasury shares when the options have been granted (and not when vested). So we should actually decrease the operationnal cash flow at the year of the grant (not of the vesting) taking the price of the share at the grant date (and not the vesting date). Why all those equivalences push us to adjust in a different way. Well actually because there is a difference. Compared to those three possibilities, the vesting of a share option in reality doesn’t force the company to outlay any cash. There is no risk of the company going bankrupt because they can’t cover the liability of delivering those shares to their employees. There would be no currency risk etc. Instead of needing to find the cash to pay the employee a bonus, the company can just print its own money (the shares) and even gets some cash. The statement of cash flow is here to show how the company is financing itself and the adjustment that you are proposing is creating a fiction. Should we also take into account “shadow cash” in the Cash flow from investing activities if a company is buying another company with share exchange instead of buying them with cash? If the employees were paid in cash instead of the share based compensation, would the stock-based expense represent the amount that would have been required by the company to pay the employees? THANK YOU FOR LAYING THIS OUT SO CLEARLY, I WAS VERY CONFUSED ABOUT THIS UNTIL NOW. So, what if a company has a regular stock buy back program and it has a lot of treasury stock, they don’t really need to spend money at the time when options holder exercised options. And what if a lot of the options are expired worthless?